Today’s Ask the Expert column features Buddy Stark, director of Operations for HomeTeam Inspection Service. Q: What can sellers do to prepare for a home inspection? A: Completing these quick and easy tasks before beginning the selling process will help reduce stress and save your clients valuable time during the home-selling process. Have your client take a quick inventory of the windows to make sure they’re in good working order. Replace windows that are cracked or broken before the inspection to save time during the selling process. Some areas of the home, although not typically thought of as areas that would affect a home’s appeal, may be displayed as safety concerns on a home inspection report. Your client can help themselves by replacing burnt-out lightbulbs, testing smoke detectors, replacing air filters and unclogging drains. These little things are easy to forget in day-to-day life, but taking care of them is a relatively easy task that will help potential buyers focus on the important systems of the home. A sampling of electrical outlets will be tested as part of the home inspection to make sure they’re in good working order. Encourage your clients to take note of which outlets are not functioning in the home and replace them. Or, they may want to consider hiring an electrician to make sure both outlets and the electrical box are updated and in proper working condition. Home inspectors will be looking at the major parts of the home, including the foundation, HVAC systems, electrical systems, plumbing and even the water heater. Making sure home inspectors can easily access these areas, including the basement and attic, will save time during the inspection process. 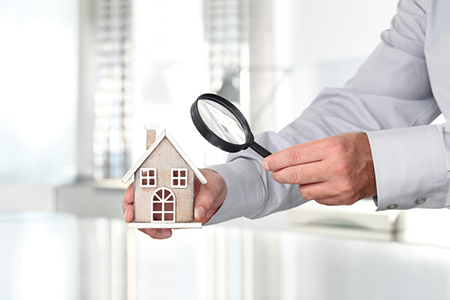 Hiring experienced and professional home inspectors can save a lot of headaches during the selling process. They will thoroughly go through the home and notify clients of any potential issues ahead of listing the property.